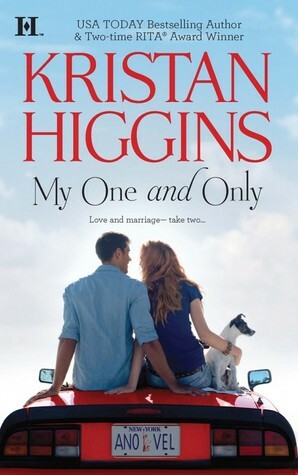 I've been told Kristan Higgins' books are the perfect go-to reads when you're in need of a light, fun adult contemporary romance, with a hint of something deeper. After devouring My One and Only, I can agree with that statement 100%. This particular story held my interest, causing me to turn the pages until I finished its story. I may have even thought about the characters a time or two away from the book. Its the perfect book to pick up when you're craving that type of story that will feed your hunger and leave you every bit satisfied. Though the majority of the story is told in present tense, we get a glimpse of Harper and Nick's past every few chapters. It's the perfect blend of explaining why these characters started out as soul mates, marrying young, only to end up divorcing and becoming complete strangers for the next twelve years of their adult lives. Kristan Higgins did a good job of laying out the story, but still leaving a few holes left to be discovered. I was instantly drawn to the harsh, realistic, cynical side of Harper. Her character was bitter and I was so curious to find out what made her this way. Then there was Nick, the softer balance of this story that kept everything grounded. This was my first experience with an adult novel set behind the scenes of a road trip. I am a huge fan of road trip books in YA, so it was very interesting to see how this version would play out. I must say it definitely fulfilled my love affair with road trip adventures! When Harper and Nick are forced to face each other again after being a part for twelve years at her sister's destination wedding, you just know the tension and sparks will be flying. When things spiral out of control and these two characters are literally placed on the road, a journey not just to get them home, but to a place that both thought was forever lost, it's an adventure you want to get lost in. The fun, quirky banter was definitely balanced nicely with the deeper stories hidden between the pages. The passion felt very real and I found myself rooting for these two characters to find their way back to one another. I highly recommend this novel to anyone who is a fan of adult contemporary romances, especially ones that involve road trip adventures and self discoveries that lead you back down familiar paths. Oh this one sounds really cute! Do you notice how Kristan always has dogs on her covers? Such a cute detail. I've only read "Somebody to Love" by her so far (cue the Justin Bieber song) and really enjoyed it, and I think it's just the right time to read another! Thanks for the review, G! So you know that I'm not a big adult fiction reader, but this one sounds like I need to read it RIGHT AWAY. You know what got me? Adult road trip. I can only imagine with that entails and I AM SO THERE! I like Kristan Higgins a lot! My favorites are probably Too Good to Be True and All I Ever Wanted, but I honestly have't hit a bad one yet! Um, hello, this sounds awesome AND you said the magic words - "road trip". 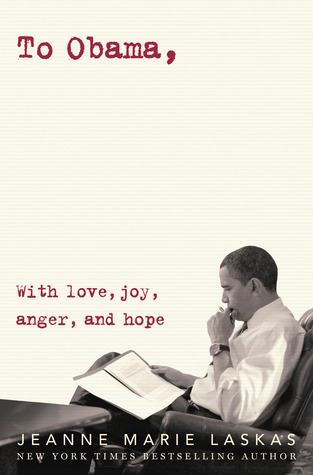 I love road trip books, so this is definitely one that I would love to check out! Since Kristan is an auto-buy for me, I didn't even realize what this book was about! You've made me love it just from your review, and I haven't even read it!